After a few teases of its premium follow-up to the G Watch, LG has finally let loose official details for the G Watch R. The immediate takeaways: a 1.3" P-OLED [Plastic Organic LED] display, stainless steel body, a heart-rate monitor, leather strap, Q4 availability in "key markets" and, not surprisingly, no pricing at this time. As far the insides go, this is basically still just the G Watch. It has the same Snapdragon 400 CPU, the same 4GB of storage, the same 512MB of RAM, the same IP67 rating, and a very-slightly-larger 410mAh battery (compared to 400mAh in the G Watch). What the 1.3" P-OLED display will mean for battery life we don't know, though OLED displays do manage greater contrast ratios than LCDs, and LG seems to be playing this up, saying the "1.3-inch full circle P-OLED display that produces stunning image clarity even under bright sunlight and superb clarity when viewed from any angle." 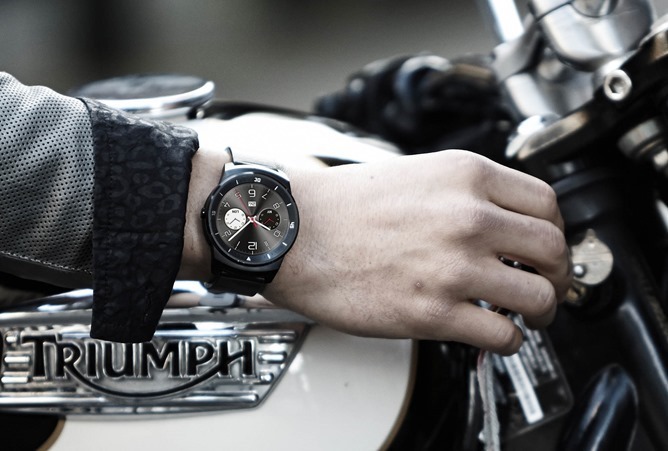 Perhaps the G Watch R will outshine the competition, as it were. We don't know if LG's latest watch is sporting an ambient light sensor, though, and the company isn't talking on that point yet. 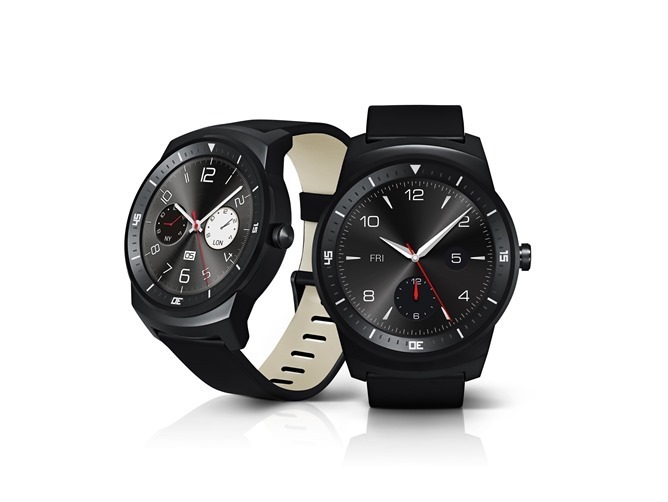 The G Watch R isn't a successor to the G Watch, but rather a premium option for those looking for something a bit more stylish and watch-like, according to LG. The 1.3" display is definitely a bit on the small side, though, with Motorola's not-quite-fully-circular LCD on the Moto 360 measuring 1.5", the GWAR could be at a dimensional disadvantage. 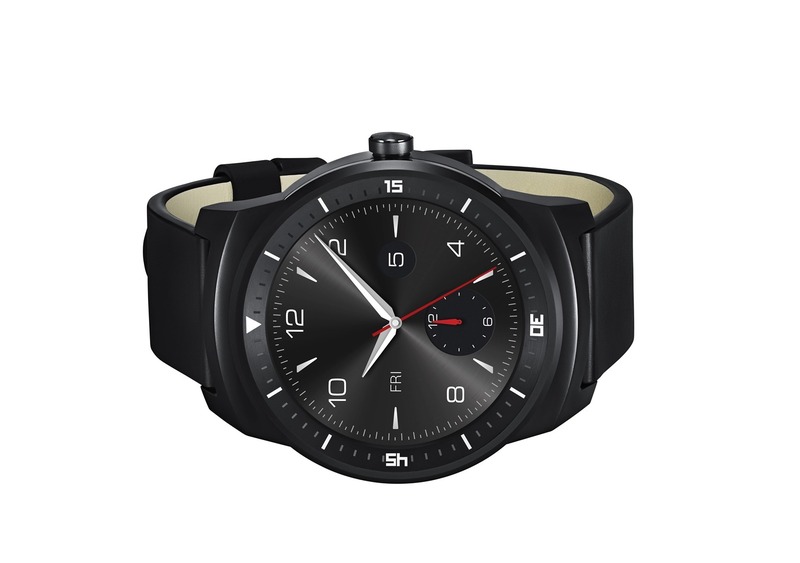 While the GWAR's overall display surface area is actually slightly greater than that of the standard G Watch, less of that surface area is going to be usable in many practical scenarios, just because of the way Android Wear looks and functions. It also does appear that the outer band of second tick-marks is in fact a physical part of the watch, not the display, so the G Watch will have a substantial "bezel" (if you can call it that) to it. Picking up a heart-rate monitor to compete with both Samsung and Motorola is probably a good call, and honestly, I'd probably be a lot more willing to wear something like the GWAR than I would the G Watch or Gear Live. 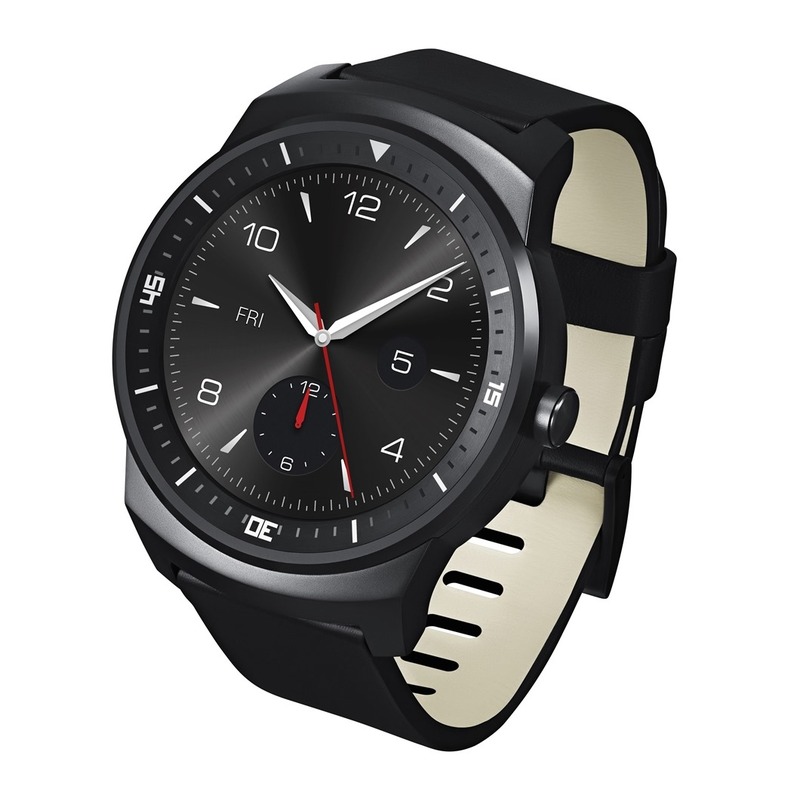 The Moto 360 does look nice, though I think LG's effort here is the most "watch-like" to date, though of course whether or not that's a good thing is entirely subject to your personal aesthetic values. We'll likely be hearing more about the G Watch R at IFA next week in Berlin, so stay tuned. With an artisanal elegance, the LG G Watch R boasts a refined aesthetic that is reminiscent of traditional timepieces. Replete with a circular watch face, this elegantly crafted Android wearable has classic curves encased in a strong, durable stainless steel frame and carries a suite of watch faces that are accessible with a simple touch of the display. Its interchangeable 22mm calf skin leather strap also complements its overall aesthetic, giving it an air of modern prestige.